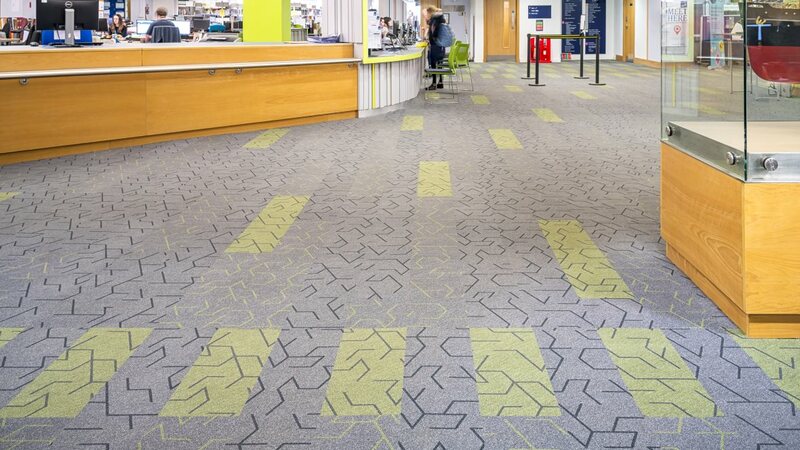 The robust qualities and unique geometrical design of Forbo Flooring Systems’ Flotex Triad planks has helped to refresh the entrance level of a busy university library in Glasgow. 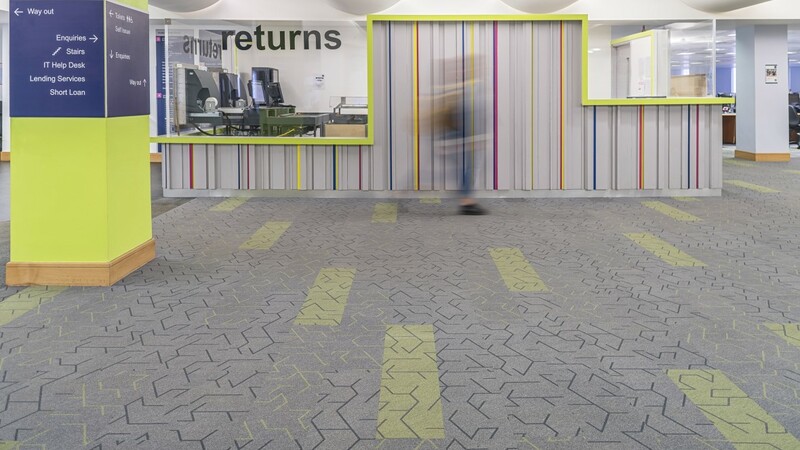 The Andersonian Library, located in the Curran building at the University of Strathclyde, is a public facility for thousands of students and staff across Glasgow’s universities. 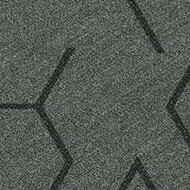 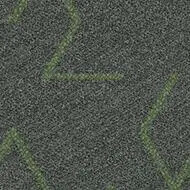 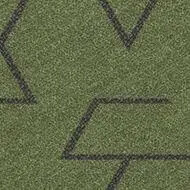 After years of heavy footfall, the original carpet that was fitted in the reception area and corridors of the library was fast deteriorating and imminently becoming a trip hazard. 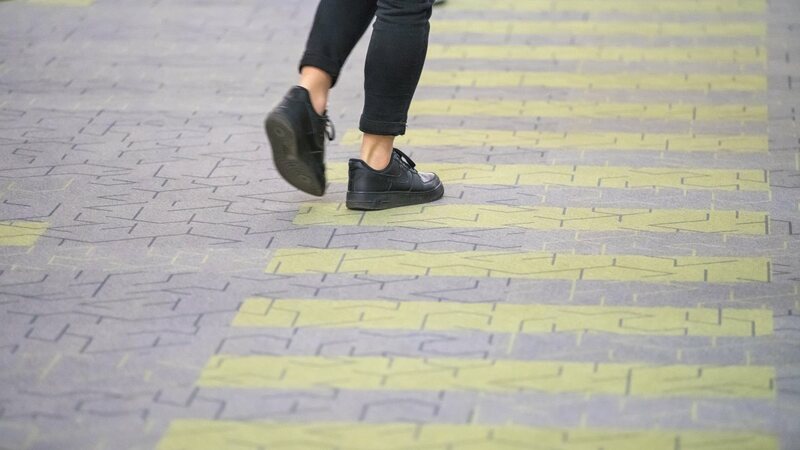 Dawn McNeil, Building Surveyor at the University of Strathclyde said: “When we saw the carpet starting to fail within the entrance level, we knew that we needed a new flooring solution which would be robust stand up to the high levels of traffic, yet also able to retain its aesthetics in years to come. 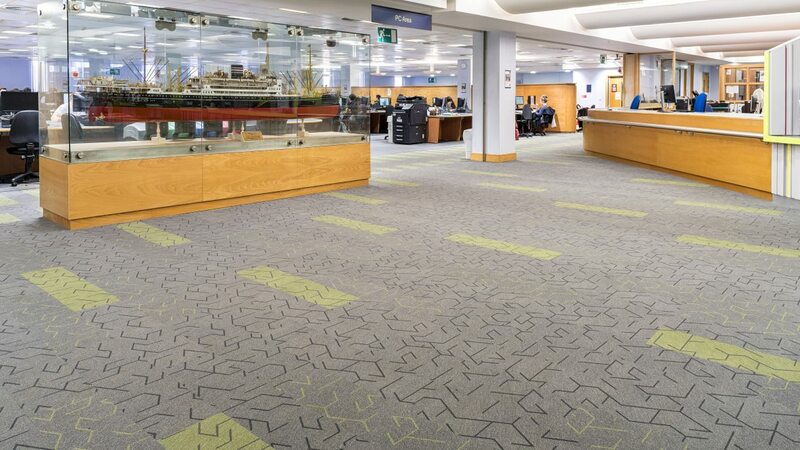 What’s more, as it’s a busy library, it was important for us that the flooring was also easy to clean, as the floors are very prone to food and drink spillages.